We had a bright Sunday morning last weekend. 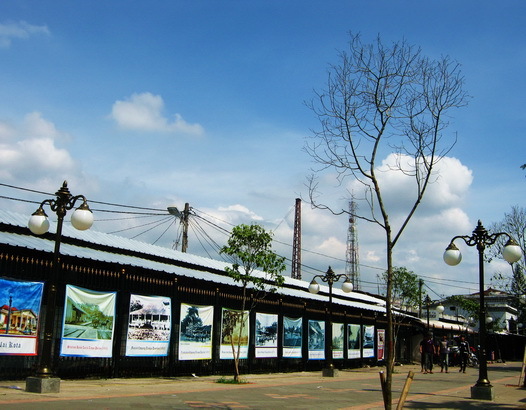 This pic was captured on a pedestrian street in the front of the Bogor Train Station (West Java, Indonesia). those street lamps are just a darling. Gorgeous soft blue sky, excellent photos. Beautiful sky. I like that style of lamp posts. Indeed a fine day,happy sky watching. Beautiful shot and interesting view!